Will Hsu (left) and his father, Paul Hsu, were featured on Discover Wisconsin last summer. Trust us, this story is better when you listen to it. You may or may not know that Marathon County, WI, is commonly referred to as the “Ginseng Capital of the World,” with Wausau-based Hsu’s Ginseng Enterprises being one of the largest exporters of American ginseng. But as President of Hsu’s Ginseng, Will Hsu, notes, it took years of patience and investment in order for the family business to take off and be recognized as a global leader in the ginseng industry. Hsu’s origin story traces back to 1974 when Will’s father, Paul Hsu – a Taiwanese immigrant then working as a social worker in Fond du lac – was asked by a coworker whether or not he had ever heard of ginseng. Hsu was of course familiar with it due to its’ prevalence within Eastern medicine, but he was surprised to hear that Wisconsin was actually quite well-known for its’ ginseng. So, after getting a list of farmers in the Marathon County region, Hsu was able to buy some ginseng root from local growers and sent them back to his mother in Taiwan. Paul was one of 14 children, and his mother was experiencing various health issues at the time. And it was at that point that Paul decided to set out on this business venture by retailing WI ginseng. It wasn’t until 1976 when Hsu and his wife moved to Wausau, and ‘78 when he purchased the farm and then the office building: marking Hsu’s shift to focus on cultivating ginseng full-time. So, at this point you may have some questions, such as, what is ginseng anyways? “There’s the Asian species which has been written about for thousands of years in a lot of early Chinese medicinal texts and that’s Panax C.A. Meyer. And then there’s the American species which is Panax Quinquefolius. The plants are similar, but they don’t look the same and they don’t act the same,” says Hsu. “Teas, tinctures, and whole root are the most common ways. There’s been some evolution because of convenience where you can now have powders. You can have capsules or caplets. You can have slices which are also very convenient because they steep quicker, they have more surface area so they absorb water quicker,” he adds. And why is central WI so attractive for cultivating ginseng? The stars aligned perfectly to enable Hsu’s and other WI ginseng growers to cultivate the most sought-after ginseng in the world due to its’ high quality. Studies have been done in both Eastern and Western medicine finding that ginseng can help boost energy, regulate your immune system, and even have anti-cancer benefits. Considering what’s been going on between the U.S.-China relations on trade, I asked Hsu what effects they’ve experienced due to the Chinese tariffs on U.S. imports. The trade dispute has created a need to think outside the box. This entails growing their domestic market with new products such as concentrated ginseng capsules, herbal energy drinks, and even partnering with WI breweries and distilleries to roll out ginseng beer and bourbon. However, Hsu admits that actually finding domestic consumers willing to purchase these new products is harder than it seems. “So, could the United States consume all the ginseng that we make? Sure. Are we willing to pay for it? That’s like asking are we willing to pay for cars that are all made in the United States, are we willing to pay for TVs that are only assembled in the U.S.,” Hsu notes. But all in all, Hsu remains optimistic that the ginseng industry is still viable even with the ongoing trade dispute because of the integrity and trust that comes with Hsu’s brand. Their ability to evolve as a business by exploring new markets and creating new initiatives such as the annual International Ginseng Festival held in Wausau, and their agreement with Foxconn Technologies to promote WI ginseng abroad will allow Hsu’s to hold their own in the global ginseng industry for years to come. Joshua Junig recently finished an internship at WXPR. He is a junior at Carroll University in Waukesha majoring in Philosophy, Politics, & Economics. This story is part of our We Live Up Here series, where we tell the stories of the people and culture of northern Wisconsin. Music for this story came from Blue Dot Sessions: Soothe by Blue Dot Sessions (www.sessions.blue). WAUSAU, WI (WSAU) -- Organizers of the International Wisconsin Ginseng Festival say the 2018 version is shaping up to be bigger than the inaugural event in 2017. The popular Spicy Tie Band will return as Friday night's headlining act and Saturday brings Aaron Williams and the Hoodoo along with some new cultural performances. "We've got the Chinese Lion Dance on Saturday as well as a Chinese Mask Changer and a traditional Chinese Fashion Show," said Rebecca Bratton, the Director for the event. The event will also allow consumers to educate themselves on the herb and its benefits. Digging for wild ginseng pays: It sells for thousands of dollars in overseas markets. But it is illegal to take ginseng from national parks, where authorities are working to thwart poachers. 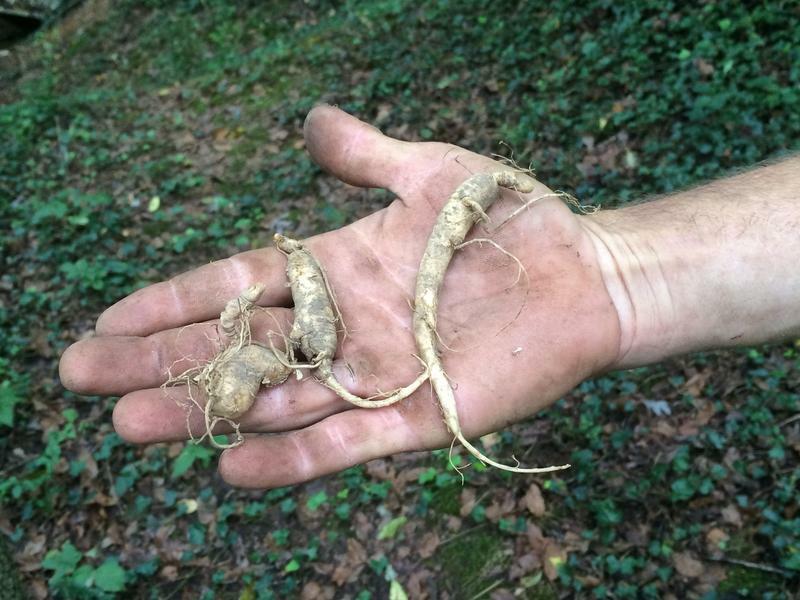 They come to the Great Smoky Mountains National Park, and Jim Corbin, a plant protection specialist with North Carolina's agriculture department, is out to protect wild ginseng root from the poachers.